Dry eye is a common condition in which there is inadequate lubrication of the ocular surface which can cause discomfort and blurry vision. Dry eye is caused by insufficient tear production or excess tear evaporation or drainage. 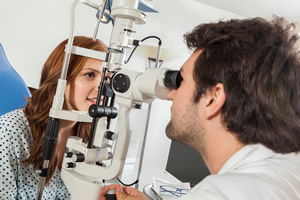 Your eye doctor can determine the underlying cause for your dry eye and formulate a treatment plan to best suit your needs.